"I like the parcours of the Nationals and I am really motivated for these two races. Winning will be difficult on these up-and-down roads so early in the season, but I'll give everything in order to get nice result." 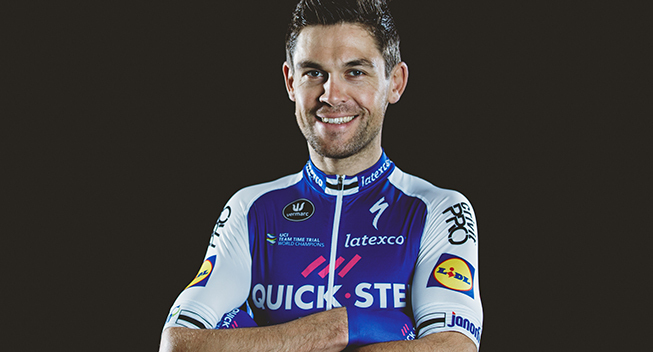 First rider of the squad to race in the Quick-Step Floors Cycling Team kit this season will be Jack Bauer, the 31-year-old who joined the squad at the end of 2016. The New Zealander, a pro since 2009, is on the startlist of the National Championships, a race in which he triumphed seven years ago, from a three-man sprint. If back then the event was held in Christchurch, this time the riders will line up in Napier, for a 169-km long course pretty much similar to the one of 2016, with many undulating roads. Two days before this appointment, Bauer is scheduled to take part in the individual time trial, thus making his debut in the race against the clock at the National Championships. The route is 40km-long and will see the riders cover two identical laps in Hawke's Bay, with the start and finish located at the Church Road Vinery. "I like the parcours of the Nationals and I am really motivated for these two races. Winning will be difficult on these up-and-down roads so early in the season, but I'll give everything in order to get nice result. I'm looking forward to these challenges and I'm hoping to land a good result for myself and my team, who put its trust in me and gave me a chance", said Jack Bauer ahead of the National Championships.